Looking for an efficient way of providing heat and energy to your home? If so, it's worth considering heat pumps, which have become increasingly popular with the introduction of the RHI (Renewable Heat Incentive) - a scheme designed to financially reward those who use renewable energy to heat their buildings in England, Scotland and Wales. With tariff payments available to those using certain technologies to heat their homes, the overall aim of the RHI scheme is to help the UK achieve its aim of producing 12% of its heat from renewable sources by 2020. Read our handy APHCOnTap guide to find out everything you need to know about heat pumps and whether they're right for you. To find an example of a heat pump working, look no further than your household fridge or freezer! In both appliances, the main compartment is kept cold using refrigerant gases, which extract heat energy from the food compartment before releasing it back into the atmosphere via pipework and grills at the back of the appliance. In the same way as fridges and freezers, heat pumps use refrigeration gases to extract heat energy from cool sources such as the ground, outside air or even water. In the UK, the main types of domestic heat pumps are ground source heat pumps and air source heat pumps, although water source heat pumps are now entering the market. 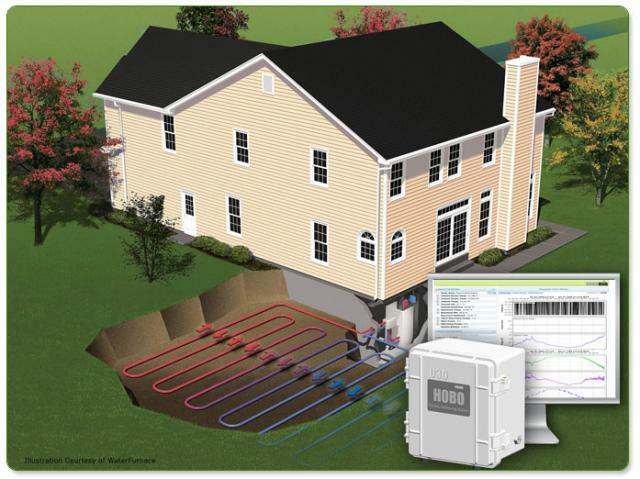 Ground source heat pumps work by tapping into heat energy absorbed by the earth from the sun all year round. While the surface of the earth is susceptible to heat losses due to the weather, for example, rainfall, the temperature becomes more stable the deeper we dig, at around 8-10 degrees Celsius. Horizontal collectors - These are used when there is a lot of land, with the pipe generally laid out in long straight runs. Vertical collectors - These are now the preferred choice as they are more efficient, and run inside a bore hole of 75 - 100m deep. Slinky collectors - These are used instead of horizontal collectors when space is limited, taking up to a third less space. The size of the loop or collector must be accurately sized, done as part of the overall design. This type of heat pump uses outside air to absorb heat and transfer it to the building. One big advantage over ground source heat pumps is their lower installation cost due to air source heat pumps not needing ground loops and trenches or bore holes. 1. Availability of outside room/space - Ground source heat pumps using pipework laid in the ground will require a considerable amount of space to be effective. Consider whether drilling a bore hole is possible, however, you may only be able to decide this after a survey has been conducted. An air source heat pump will have to be mounted on a wall or be free standing on the ground, with sufficient clean air around it. 2. It's important to make sure your property is well insulated before fitting any renewable technology for heating your home. This will include installing cavity wall insulation and double or triple glazing windows and doors along with draft excluders. 3. The heating system you want to use and the fuel currently available will have a bearing on the effectiveness and suitability of a heat pump. For example, heat pumps work extremely well and save more money when replacing a solid fuel boiler in a property with underfloor heating. It therefore may not actually be advantageous to install one if you already have a highly efficient mains gas boiler with a traditional wet central heating system. A qualified installer will be able to advise you after conducting a survey. Heat pumps are a very efficient way to heat a home, however, while they could save you money on heating and hot water running costs they should not be considered a straight alternative to a boiler. Careful design and survey work should be undertaken to decide if a heat pump is the right piece of equipment to install in your home. Find a Quality Plumber in your local area on our website at http://www.aphc.co.uk/find_an_installer.asp.